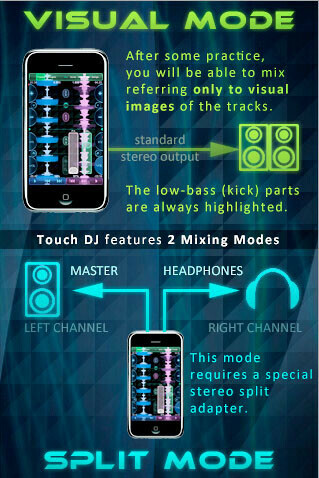 There are quite a few applications at AppStore allowing you to do things typical of professional DJs. 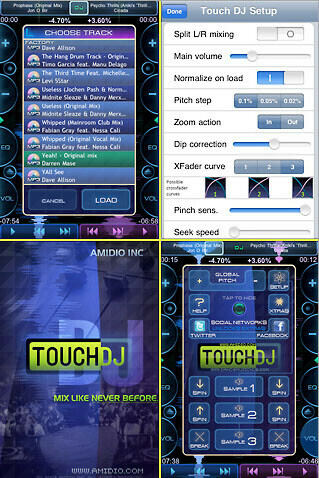 The creators of Touch DJ are, however, of the opinion that their program can get you much closer to what the real thing feels like by offering rich functionality wrapped up in a user-friendly interface. 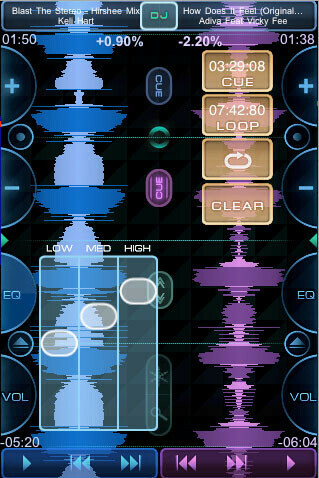 You can mix your favourite tracks and apply various sound effects to inspire your audio followers. According to its creators, the most significant advantage of the program is that you can use your own MP3 files. Unfortunately, however, the audio tracks in the music library of iTunes are unavailable due to the technical restrictions imposed by Apple. It´s a good thing that there are other applications permitting you to create separate audio libraries that can then be used for your mixes. 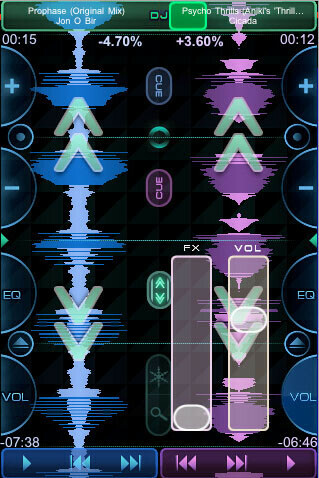 Touch DJ is available at AppStore (link) for $19.99 and if you´re still wondering if the application is of any use, take a look at the video below to get a better idea of its interface and functions. If you´ve already downloaded and used the program, tell us what you think in the comments below. well i wouldn't use it. 20 dollars is a wee bit high. I wouldn't either. But it still looks really good and intricate and I know a lot DJs will probably buy it. Dude your fanboysm is taking you to outrageous levels....!!!! Seriously, a real DJ wouldn't be caught dead with that app. Now it may be fun for techno-geeks with no talent and small hands, but DJs? Seriously? That's like saying playing Guitar Hero makes you a real rock star. One acknowledges that modern life is not cheap, nevertheless some people require money for various issues and not every one gets enough money. So to get quick loans and college loan will be good way out. Some time before, I did need to buy a good car for my business but I did not have enough cash and couldn't order anything. Thank goodness my mate adviced to try to get the loan from banks. Hence, I did so and was happy with my commercial loan.